The In Vitro Fertilization retrieval room should be spacious enough to allow the Reproductive Endocrinologist, nursing staff, and Anesthesiologist to move about and work together comfortably. The IVF retrieval room should also be clean, well organized, and well lit. 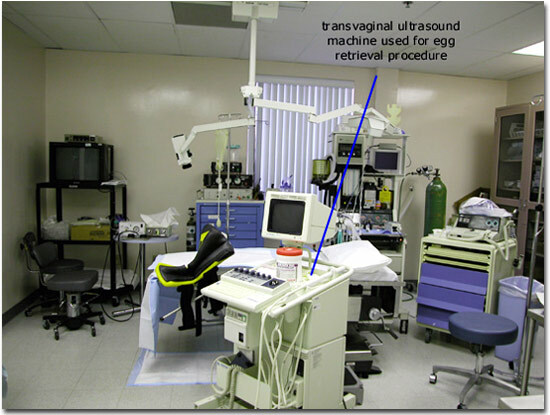 A transvaginal ultrasound machine is usually used to perform the egg retrieval procedure. These ultrasound machines can be relatively bulky. The ultrasound probe is generally covered with a sterile sheath, a sterile needle guide is then coupled to the probe (over the sheath), and a sterile aspiration needle is passed through the needle guide.